I am redoing this website as the information is so out of date. Will be replacing up to date pictures soon. 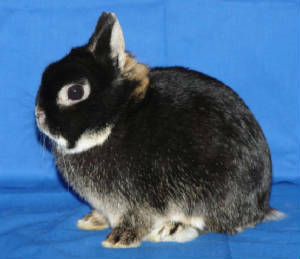 Hi my name is Sandy and I have been breeding and showing rabbits for about 36 yrs. I raise Netherland Dwarfs and Holland Lops. 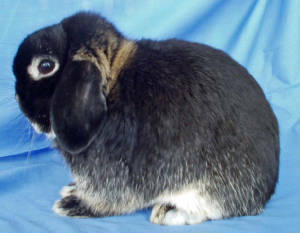 In my Holland Lops I raise Sable Points, Tri's, harlequin, Tort. and broken Tort. and sometimes we get broken black and blacks. With my Netherland Dwarfs I concentrate on the otters and martens (black, chocolate and blue). I am also raising Chins., chestnuts, and opals. My rabbitry is located in the Barrie area. I have had many wins over the years including several Best in Shows. I have also won the High Point award for the Holland Lops with the DR&CBA and the OC of RC for several years. We won the 2006 All Ontario Sweepstakes for Holland Lops, 2006 DRCBA for Holland Lops, 2007 DRCBA Sweepstakes for Holland Lops. We won the DRCBA Sweepstakes for the Holland Lops and Netherland Dwarfs for 2008 and also won Breeder of the Year and DRCBA Sweepstakes for the Netherland Dwarfs for 2010, 2011 and 2012. We won the DRCBA Sweepstakes for 2013 for Holland Lops and Netherland Dwarfs. I did not show much last year due to medical issues. Sold most of my bunnies last fall but kept some and now have some does bred and looking forward to getting back to showing. Dominion Rabbit & Cavy Breeders Association, also a member the Ontario Council of Rabbit Clubs. Thanks for stopping by and feel free to look around.